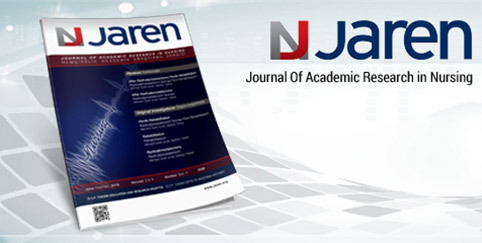 The right to use the title” Journal of Academic Research in Nursing-JAREN belongs to SBU Gaziosmanpaşa Taksim Training and Research Hospital. 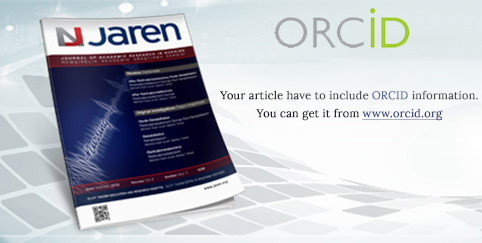 Copyright of all the contents of the articles published or to be published belongs to the Journal of Academic Research in Nursing-JAREN in compliance with the prior written consent obtained from the authors. They can be cited as a reference in scientific publications, and presentations. However editor-in-chief should be consulted for reproduction, and use of other printed, and visual material by any means. You can click to reach Copyright Approval Form.